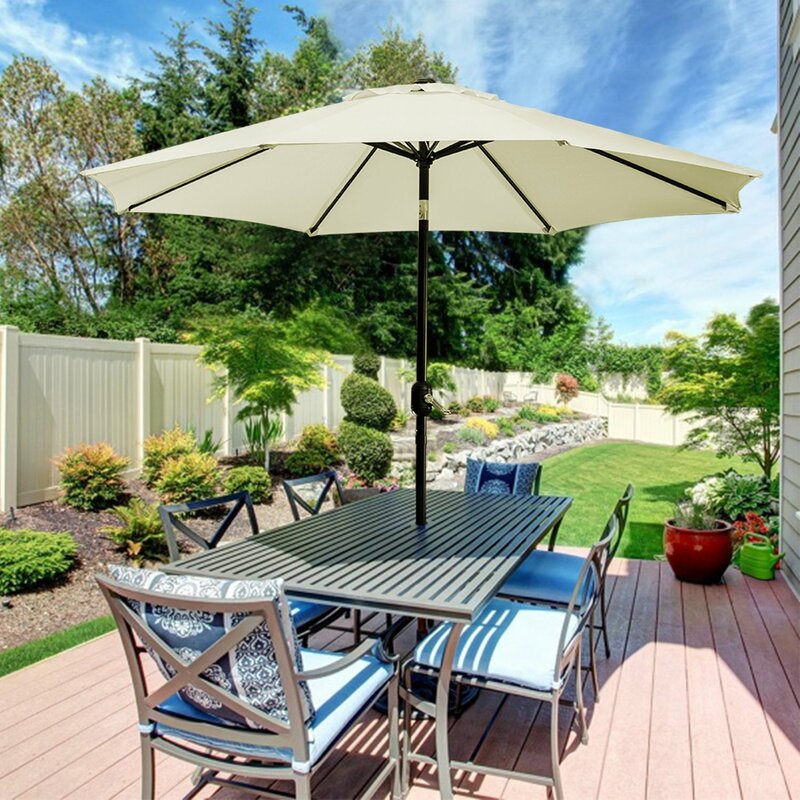 We all know that an umbrella is the perfect solution for areas of your yard where there is more overhead space – providing shade precisely where and when you want it to while adding a touch of color and a certain flair to your landscape. Most of the outdoor umbrellas nowadays measure from 5 to 11 feet in diameter – on a pole that is placed into a hole or is anchored by a weighted umbrella base. The good thing is that you can use a crank at the top of the pole to raise or lower the canopy of the umbrella. Before you start shopping for the best patio umbrellas, you should know what you are looking for. To do this, you must assess the lay of the landscape (hardscape and softscape) and measure the dimensions. Most of the outdoor tables come in standard sizes which is why you must make sure that the canopy covers your table – especially if you have a larger one (that seats 8+ people). Similarly, you don’t want to purchase an umbrella that will overpower your small table (2-4 people). So, some of the main things are to assess the location of your outdoor table and see the main function of the patio umbrella you need. After all, there are different types and sizes of umbrellas (sunshades, pagoda, cantilever, logo umbrellas, market etc). 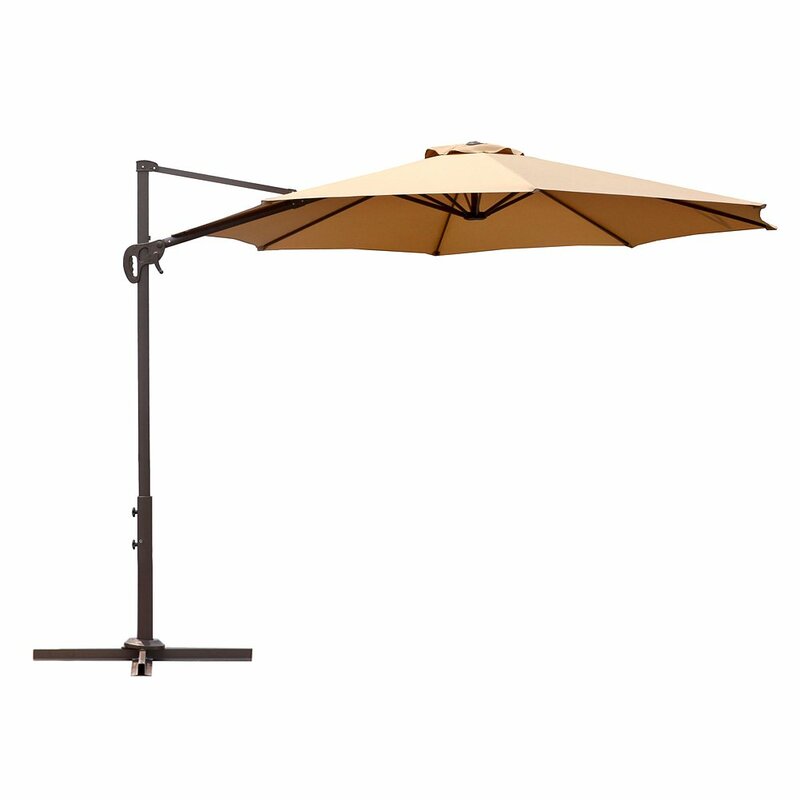 Below, we are listing the best patio umbrellas for gardens and backyards handpicked by our team. One of the most important features of patio umbrellas nowadays include waterproofing as well as UV resistance. 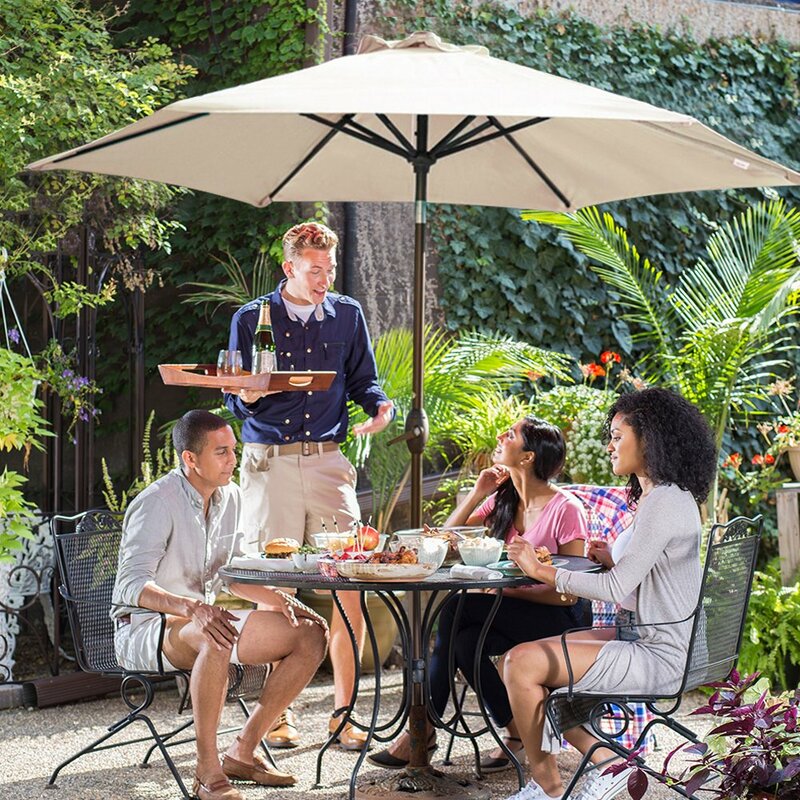 The Abba outdoor patio umbrella has both of these features and is available in a number of colors – ideal for a table with 4 to 6 chairs as well as residential and commercial spaces. 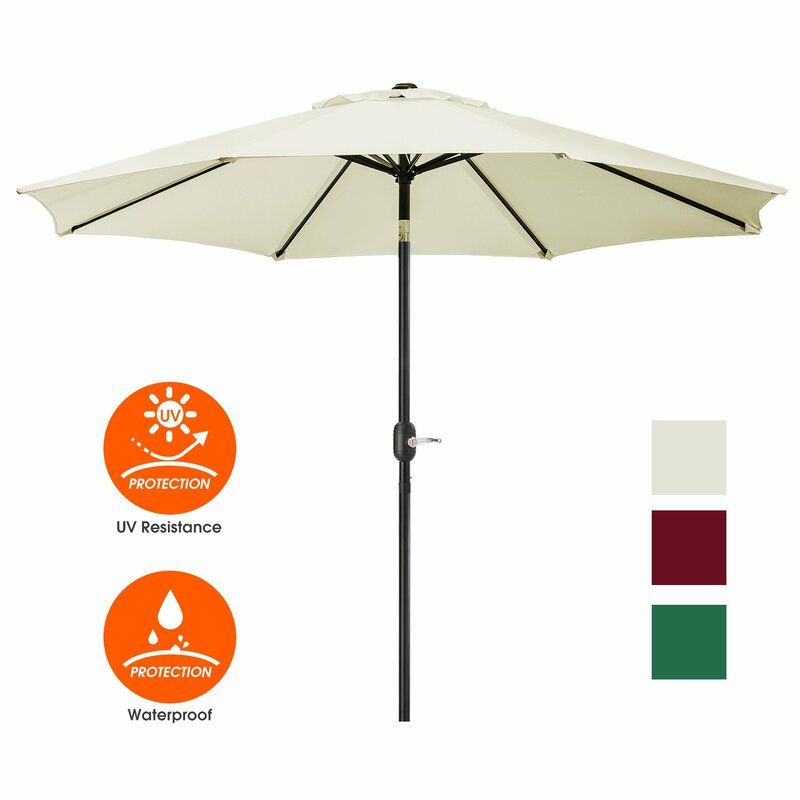 The outdoor patio umbrella comes in several colors including Beige, Red, Turquoise, Green And Striped Flag which is why it is ideal for any garden decor. 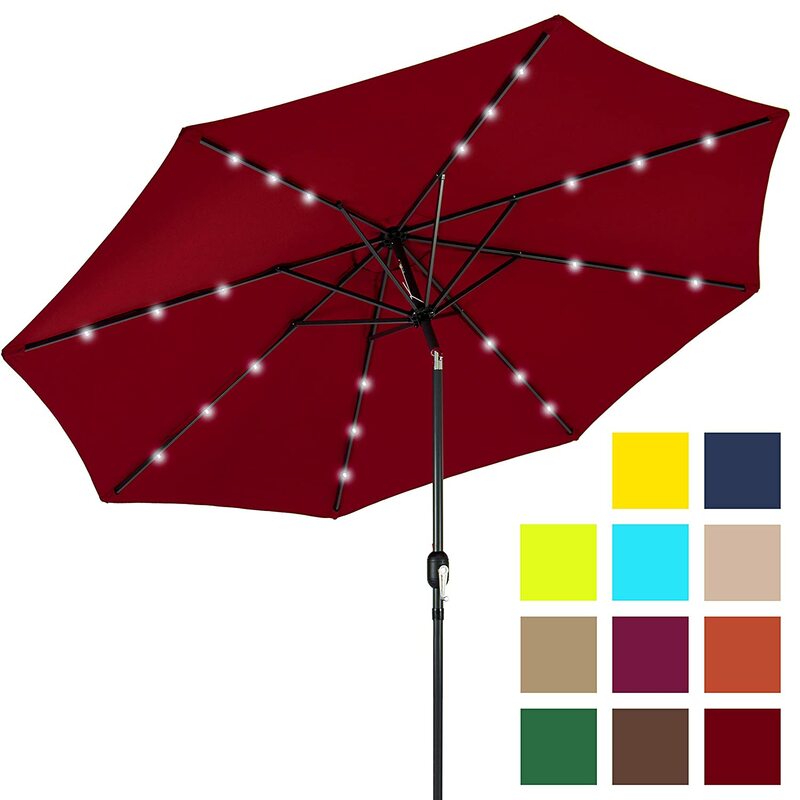 The umbrella has a crank mechanism for open and close system, is generally easy to use and comes with push/press tilt button. You can use this product day or night – mainly because it comes with built-in solar powered LED lights that can run for 6-7 hours. For many, this is why the Best Choice product is one of the best patio umbrellas out there on the market. Made with high-quality fabric, it is able to resist water, UV and fade that makes it perfect and long-lasting. You can stay extra cool with the easy-tilt system that gives extra coverage while a wind vent cools air under the umbrella. There is a hassle-free setup and storage with a detachable pole as well as a crank handle. All in all, this is a product that is perfect for any backyard or garden. 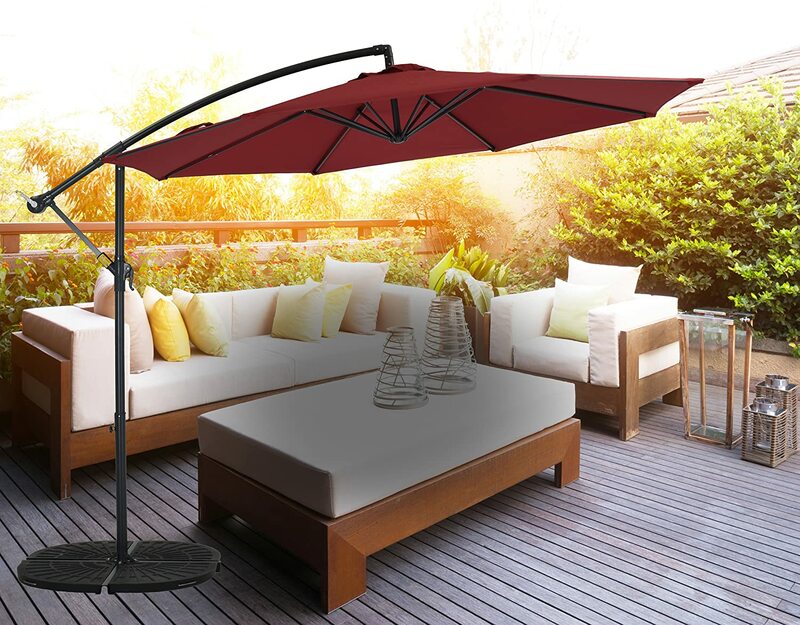 If you are looking for a patio umbrella with an advanced mechanism and a special angle (with a base on the side), this is definitely one of the options to consider. 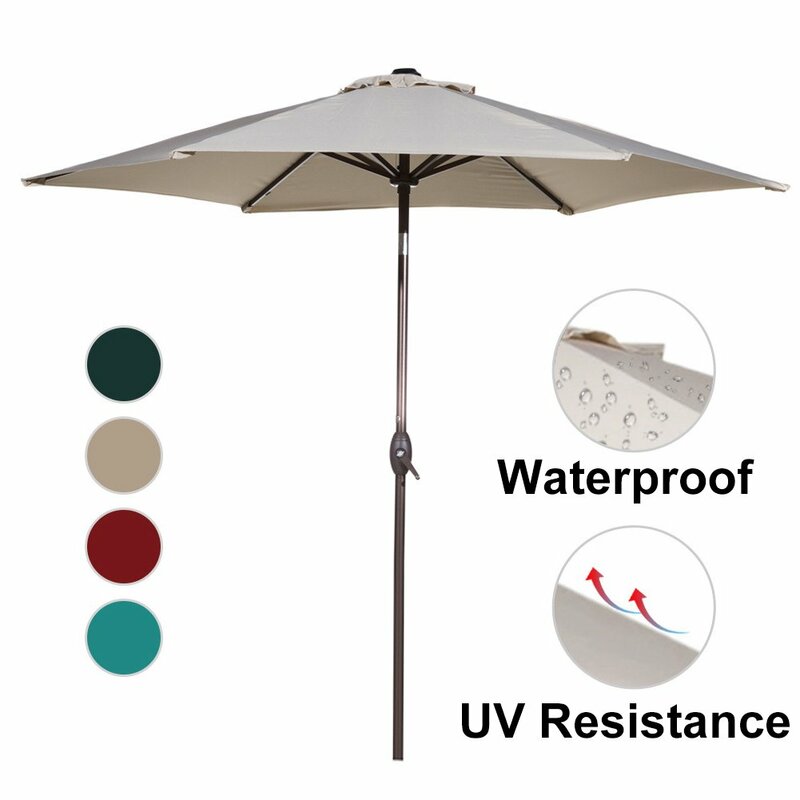 It is 8 feet high and 10 feet wide – designed to keep you cool and more comfortable than any traditional umbrella. There is a strong, 1.88 inch frame which spreads into 8 ribs, keeping the umbrella more stable. With easy crank and tilt mechanism, it allows quick assemble and can be folded up even in blustery and thunderstorm days. There are many reasons why the Le Papillon umbrella is among the best patio umbrellas on the market. 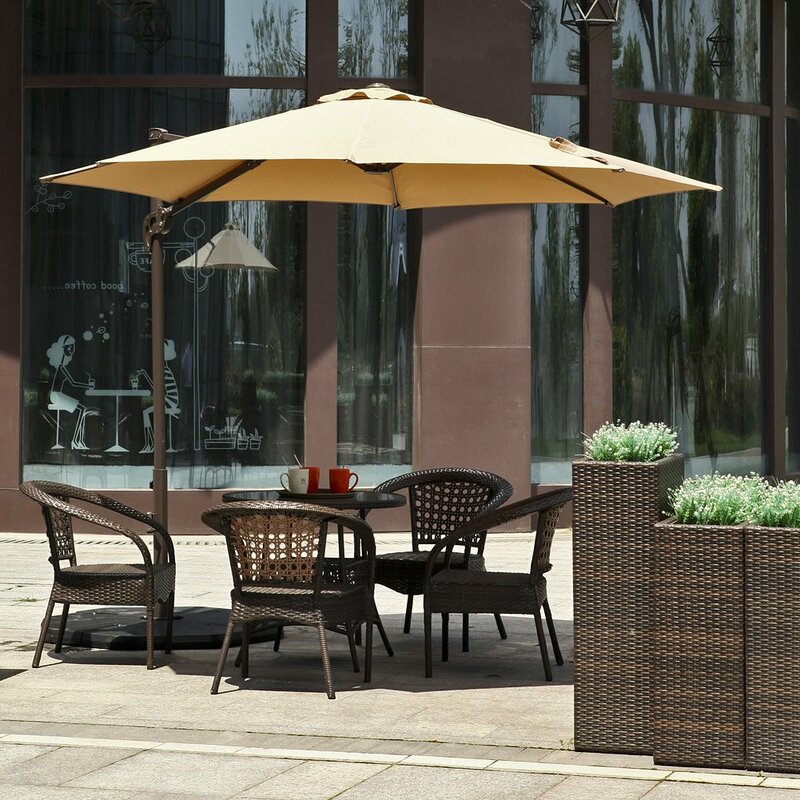 Basically, its offset design and 360 degrees rotation features as well as 10 feet diameter cantilever features all provide more shade for your outdoor settings than market table umbrellas. This umbrella is also durable and weather resistant. The pole is in oval shape and does not need weight to support the umbrella. 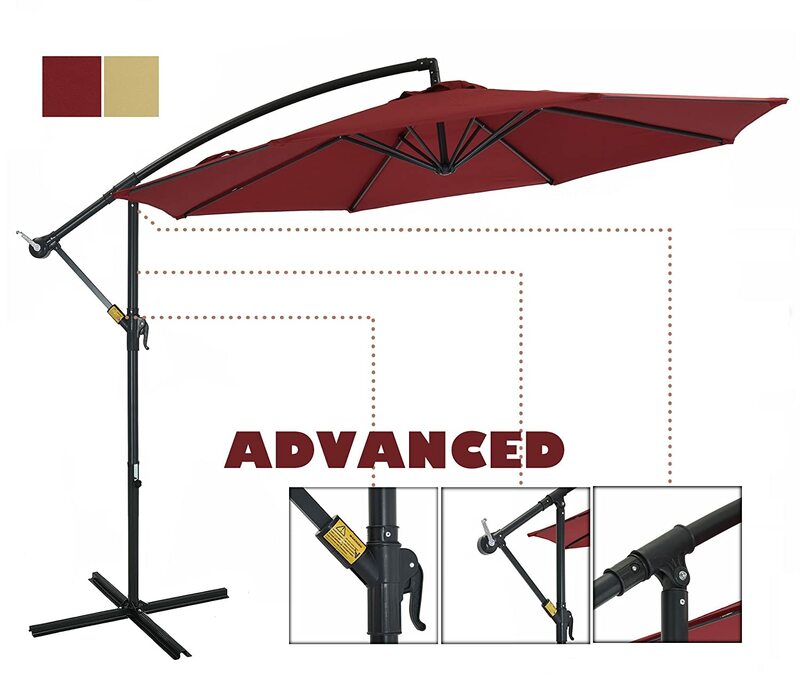 Because of that, it is among the most stable patio umbrellas with an Open Lift system that allows you to open, extend and close the mechanism – or adjust it to your desired angle. Last but not the least is one of the best patio umbrellas because of several reasons. First of all, this product is made of some high-quality materials – more precisely a powder-coated steel frame and 180G polyester fabric for long-term use outdoors. Next up, the umbrella is really easy to open and close with the touch of a button. Same can be said for the crank and tilt system which operates easily for quick use and more coverage. The shade solutions are 9 inch in diameter by 7.8 inch height, providing 42-54 inches diameter of shaded square on a rectangle table with 3 to 6 chairs. 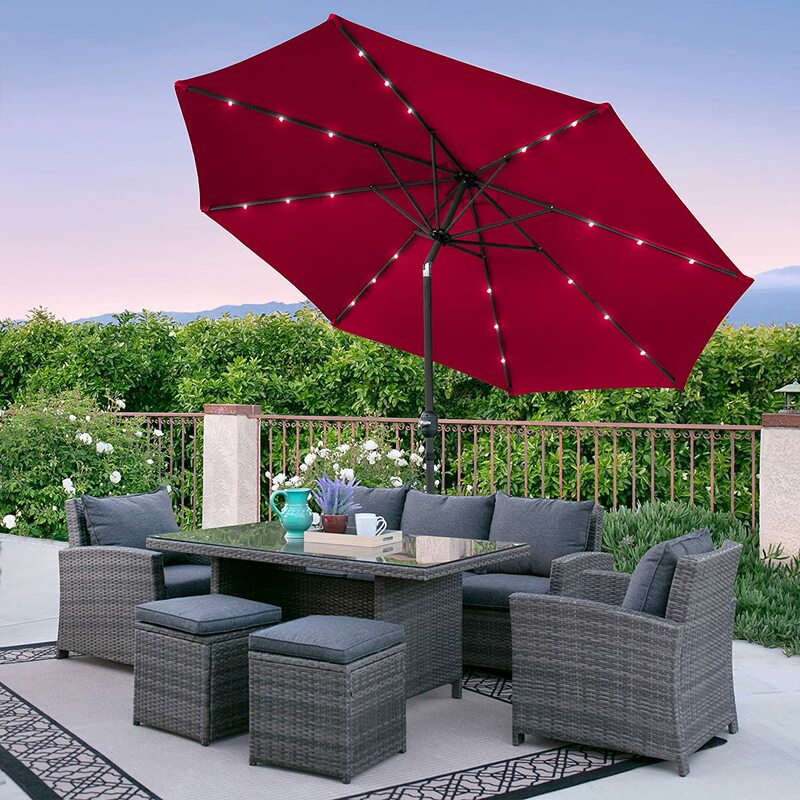 In the end, durability and functionality are the two main qualities you should look for when shopping for the best patio umbrellas. As soon as you ensure that these are all part of your search, you need to pick your colors and styles. Lastly, the ideal solution is to find a patio umbrella that has the best warranty and reviews online. All of the products listed above are great in this manner. So, have you picked your favorite yet?